In a lackluster display the Indomitable lions of Cameroon were are out of the World Cup after losing 4-0 to Croatia. Barcelona midfielder, Alex Song was given a straight red card after an off the ball incident elbowing Bayern Munich's striker Mandzukic. 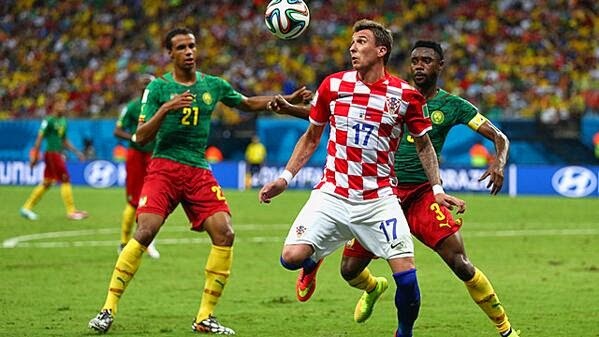 Mandzukic scored two goals as the Europeans were to strong for the Africans.